Unlike many experts are expecting, the dollar is getting stronger. 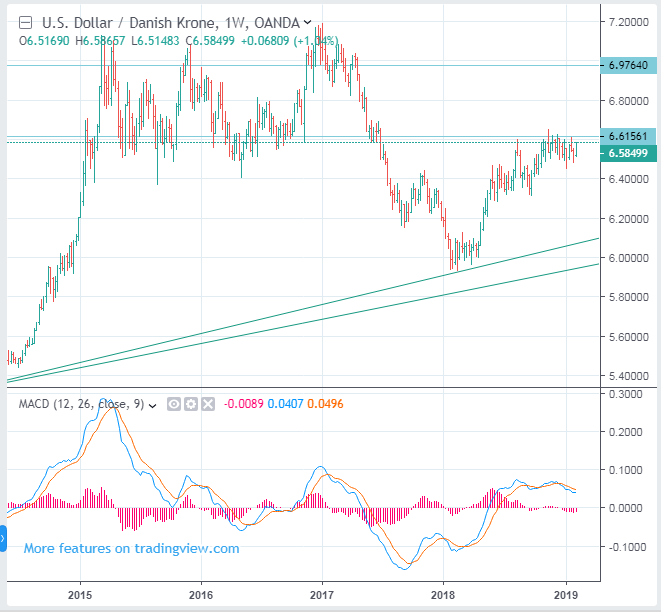 USDSEK (Swedish Krona) has already started last month. Now, USDDKK (Danish Krone) seems to be starting. The key price seems to be 6.6156. If it goes above that price, it means USDDKK will rise very high. In that case, the resistance line is likely to be at 6.9764 level. In the long run, it is likely that it may rise to about 7.82. Of course, I'm not sure yet.